This week's question is extremely important. Please take a moment and read it - you'll find it farther down in this email. For those on the Treasure Coast, our next seminar is tomorrow and all the info is listed below. If you live on the Treasure Coast, our January seminar is tomorrow, Saturday, January 13, 2018. The cost is still just $8 a person and there'll be coffee, tea, juice, donuts and other goodies so come a few minutes early! One of Joyce's favorite places to shop online is The Lakeside Collection. She liked it so much that we became affiliates. They're having a "get ready for Spring" sale and if you buy, you'll get a great deal and we'll get a buck or two. Just click on the Lakeside picture above. Question: "I received a phone call telling me my Windows license key was expiring and I needed to call a phone number to get it renewed. This is a scam, right?" Answer: Although these types of calls have been happening for about six months, in the past week, Joyce and I have received dozens of phone calls from customers asking this same question. The answer is simple: these phone calls are fake and are a total scam. 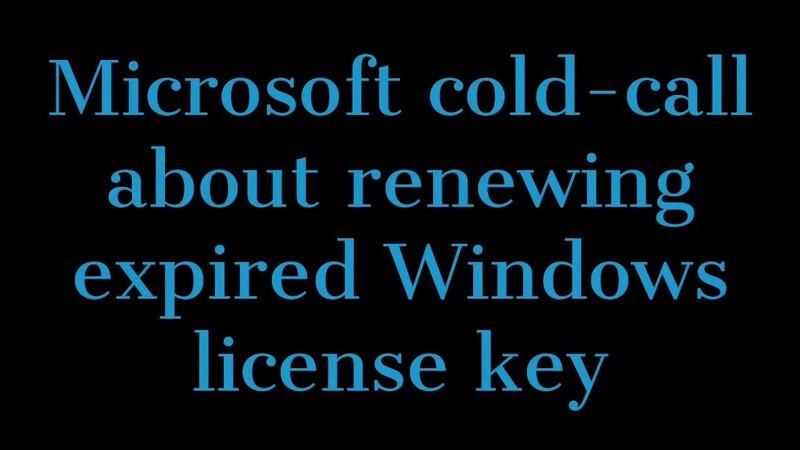 The first thing to know is that Windows license keys do not expire. The same is true for Apple license keys. These phone calls are attempting to panic you into calling. Once you call, the person answering will tell you they need to log onto your computer to update the license key or that you can pay them and they will update it remotely. Either way, it's going to be money out of your pocket for no reason. 1) Microsoft (or Apple, for that matter) will NEVER call customers out of the blue. 2) Neither Microsoft or Apple will cause a pop-up or webpage to appear on your computer telling you your computer is infected and you need to "call this number." 3) You should NEVER respond to these types of phone calls or pop-ups. 4) If you repeatedly receive these kinds of phone calls, don't engage with anyone, simply hang up. 5) You should never allow someone to panic you into making a bad decision. Real companies don't use panic as a motivator.